Hello lovely LDV readers! Nancy here with another installment of 'Dissecting the Details.' I've always loved Mary McDonald's over-the-top Hollywood glamorous style, and her bedroom designs are key examples of this. Let's take a look at 4 elements that Mary tends to employ in her bedroom designs. 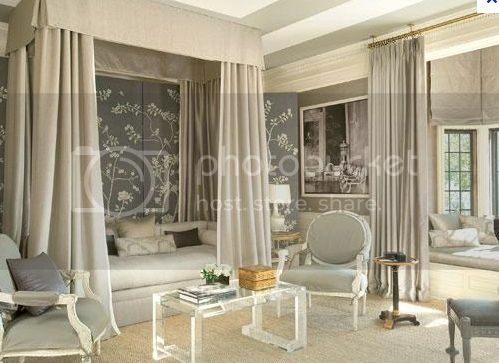 Mary's use of regal canopy beds really adds something special to her designs. Wouldn't you feel like a princess? 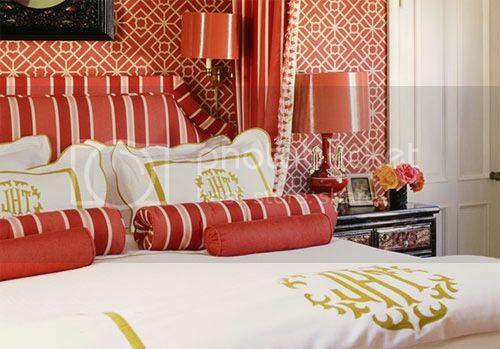 I adore the look of monogram bedding, it's so luxe and personalized, and takes the room to another level. My dream home would have to include a master suite with a big enough space to have a sitting/reading area. Mary's spaces always seem to include one or to places to perch; it's chic and practical too! 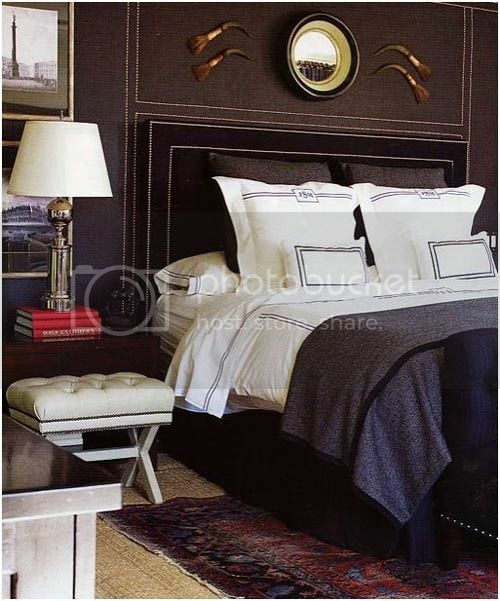 Perfect for reading in bed, sconces just above the bed are well within arms reach. 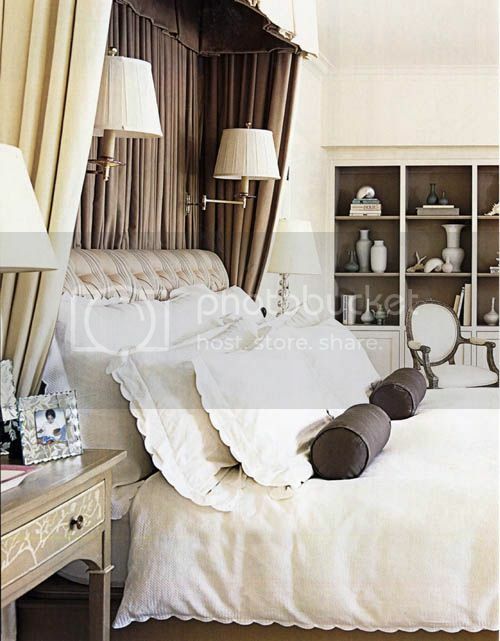 And the layering of lighting with added table lamps is another chic element Mary's designs utilize. So there you have it, 4 important features Mary McDonald implements in her bedroom spaces, all of which I know I'd love to have! The second one with the navy is my favorite!!!!!! Gorgeous rooms! Now I really want a canopy! Loved this post! Especially since mine was on Mary as well yesterday! Her work is incredible and I love her bedrooms! So glad I got to see this post! It's also made me realize maybe I shouldn't change my bedroom since I thought I was getting tired of the canopy! We shall see! Such a gorgeous space! 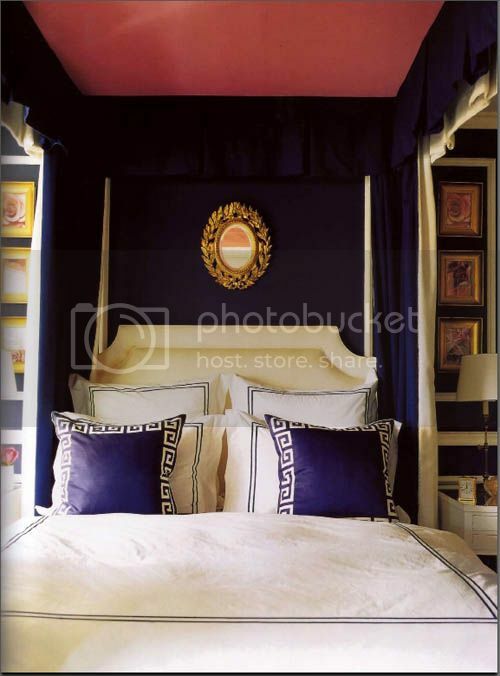 I love the canopy beds! They make the whole room look so romantic! Absolutely adore Mary McDonald! I think that she's a designer's designer because of her boldness tempered with classicism. Its dramatic and rich without being over the top!